For years, chiropractic care has been known to help heal injuries, headaches, nerve conditions, disc herniation, and more. This is because a majority of physical pain is derived from a miscommunication from your central nervous system and other parts of your body. Chiropractic is a natural, drug-free approach to healthcare, it is beginning to be a first resort for many people into natural health. It has been proven to produce the most drastic, life-altering results. In order to achieve the best results for each patient, different adjustment methods and sometimes combined methods are used. 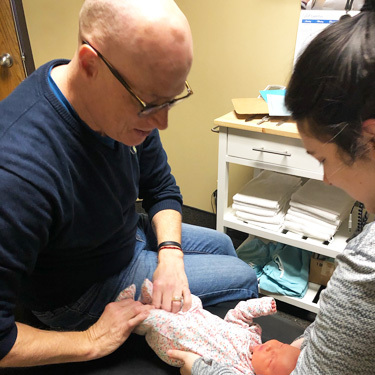 While Amesbarry Chiropractic mainly utilizes Diversified Technique, a hands-on manual adjustment tactic, we also use Gonstead and Activator techniques. Each person is an individual with individual needs, we treat each person in the way that is best for their body. There are many different conditions that can be treated through chiropractic care. 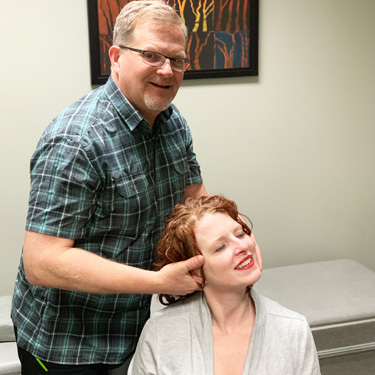 If you are suffering from an injury caused by an accident, migraines, herniated discs, peripheral neuropathy, or restless leg syndrome, to name a few – proper chiropractic care can offer you lasting relief. Common benefits of chiropractic care include less pain, increased range of motion, better sleep, improved digestion, and more energy. These benefits can directly impact the list of common ailments and many others that are not listed. Each individual is different, and you are encouraged to find out how many of these benefits you can see through chiropractic care. If you’d like to learn more about how natural chiropractic care can help you, contact us today to book your first appointment. We look forward to welcoming you to our practice!